Carpets are often overlooked because they can be visually deceiving– they might look clean, but they’re dirty deep down. That’s why keeping an eye on them is not enough. You have to take care of them on a regular basis even when you think they’re totally fine and clean. Dirt and stains are inevitable at everyone’s home. You just have to maintain your carpet to keep it clean despite the debris you didn’t realize that was there after months and months of daily foot traffic. If you want to make sure that your carpet is clean all throughout the year, here are some tips you can follow. Understand what kind of material your carpet is made up of. Be it cotton, silk, wool, etc., double check what kind of cleaning product you can use to avoid permanent damage. 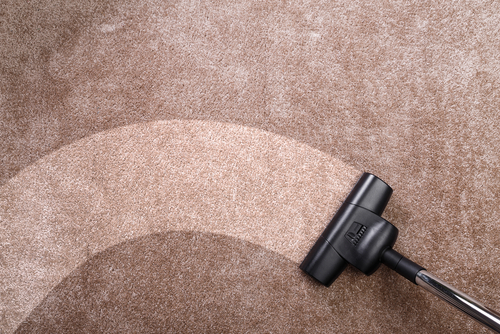 Keep your carpet bug and dust free by vacuuming three times a week. By doing this, you can avoid dirt from accumulating that is harder to clean in the future. Sure, you try your best to avoid spillage. However, if it still happens, make sure to get rid of the stain as quickly as possible. When you clean your carpet, avoid scrubbing too vigorously as it can damage its fibers and cause the stain to spread further. Worst case, it can produce a permanent patch depending on the type of your carpet. A clean carpet is a step towards a clean home. That’s why you should take care of your carpet all year round as much as possible so you won’t have to deal with a huge mess in the future. Start your year properly with the right maintenance that your carpet needs and you will definitely have the privilege of a well-maintained carpet!